Classroom assignments for elementary students in kindergarten through fourth grade will be posted on the front doors of the elementary buildings on Thursday, August 9th, 1 p.m. Elementary Open House is Thursday, August 9th, 4 – 6 p.m.
Center Valley: Open House is Thursday, August 9th, (K/1st) 4 – 5 p.m.; (2nd/4th) 5 – 6 p.m.
UE5G will host Open House between 4 - 6 p.m. on Thursday, August 9th. Students and parents should report to the cafeteria to get class assignments. UE5G Open House is a come and go event for students to get homeroom assignments and meet their teachers. Students may wish to bring school supplies on Thursday to avoid carrying them on the first day of school. Students may pick up their schedules on Thursday, August 2nd, between 4 – 7 p.m. and Friday, August 3rd, between 9 – 3 p.m. Parents should accompany their child to ensure paperwork is accurate and complete. Locker assignments will be given when students receive schedules. 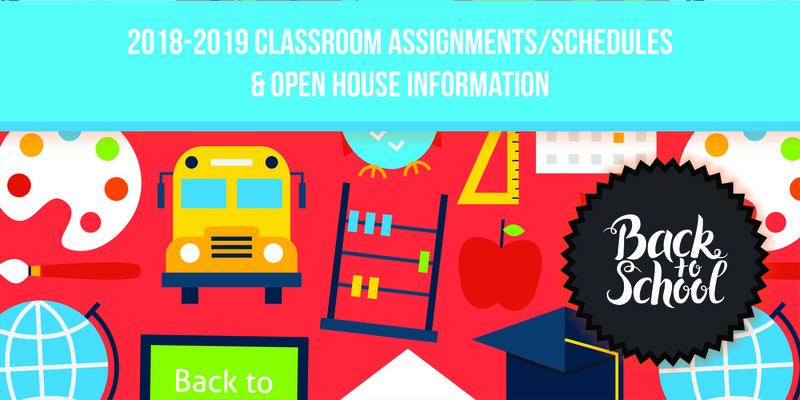 RMS Open House is Thursday, August 9th, 6 – 8 p.m.
Students may pick up their schedules on Thursday, August 2nd, 8 – 3:30 and 5:30 – 7:30 p.m. and Friday, August 3rd, 8 – 3:30 p.m. Parents should accompany their child to ensure paperwork is accurate and complete. RJHS Open House: Thursday, August 9th, 6 – 8 p.m.
*Before students will be allowed to pick-up their computers, they must bring a Russellville High School Student Laptop Program Acceptable Use Agreement form signed by the student and the parent. The User Agreement form can be found on the Russellville School District and Russellville High School websites or can be picked up in the RHS front office. Open House: Thursday, August 9th, 6 - 8:00 p.m.